Globitel SpeechLog Quality Management is designed to enhance customer loyalty by managing the performance of customer engagement center agents. It provides a range of agent evaluation and scoring capabilities to enhance the overall productivity of the center. The modular design of the system enables ease of integration with most call center ACD platforms and other related products; such as ticketing and customer satisfaction survey systems. Assuring the quality of service via customer/agent interactions is a crucial procedure in a call center. Quality assurance can sometimes be neglected due to the time and effort needed. Globitel’s SpeechLog Quality system is designed to facilitate quality assurance and ensure efficiency of services, saving time and effort. Quality centered SpeechLog Quality solution steers agents towards better performances through evaluation and learning, thus guaranteeing future operational perfection.The software is designed to enhance customer loyalty through managing the performance of customer engagement center agents. It provides a range of agent evaluation and scoring capabilities to enhance the overall productivity of the center. The modular design of Globitel SpeechLog Quality enables ease of integration with most call center ACD platforms. In addition to other related products; such as ticketing and customer satisfaction survey systems. In today’s highly competitive and complex business landscape, the future of a company whether large or small, rides on every single interaction with its customers and key business contacts. Increasing competition has constantly put businesses in an imperative demand to operate more strategically, document transactions and to learn from customer experiences. All in the mission to offer standout performances, reliable products, and exceptional values to their customers while reducing disputes and ensuring business integrity. Perform root cause analysis and speech analytics to uncover the issues and agents that contribute to low quality scores. Take action such as targeted agent training to address knowledge gaps. Monitor to verify problem resolution and ensure ongoing quality management. Documenting in-call agreements and transactions to hold against disputes. Performing root cause analysis to uncover the issues and agents that contribute to low quality scores. 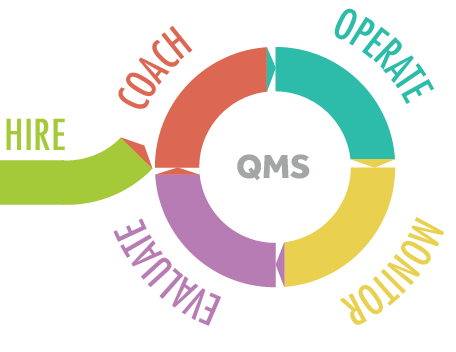 Automating the quality of feedback processes between QA, agents and team leaders. Monitoring to verify problem resolution and to ensure ongoing quality management. Capturing additional important related to calls to better utilize QA processes with customer experience. SpeechLog Quality includes advanced data storage, retrieval and presentation capabilities, along with agent scorecards for evaluating and enhancing performance. With SpeechLog Quality, call center managers have the option to flexibly define the Quality Assurance Metrics to satisfy each particular goal and mission of the enterprise. Capability for the administrators is provided to control what search parameters should show to each user level. The definition of Quick Search Parameters can also be configured by the admin. Calls can be linked together referring to a certain case, making it easier to retrieve all case info. A more flexible method to manage users and groups to set permissions dynamically all based on your business needs. Administrators can now set default permission values as well as hide from showing when creating or editing users on the application. SpeechLog Quality can be easily scaled up to centrally manage multiple recorders in different locations. This enables additional analysis between different sites and organizations. SpeechLog Quality Management works with Globitel’s SpeechLog Call Recorder solution in addition to its flexible ability to integrate with most of the recording systems available in the market. It can help organizations go beyond traditional quality monitoring by incorporating customer feedback surveys, organizations can gain deep insight into how well agents interact with customers and how effectively their processes support them. This can help drive strategic decisions impacting costs, revenue, customer satisfaction, and competitive advantage. With its optimal functionality, SpeechLog can flag and collect call samples to be viewed for quality scanning. This option is set to randomly select calls that meet a configurable criteria that qualifies the sample to be audited for quality. SpeechLog Analytics enhances the quality of services at Customer Engagement Centers; it provides elaborate filtering options to specify important interactions to be evaluated. With centralized administration end extensive role management, SpeechLog Analytics gives powerful control over the quality and user management procedures using a user-friendly interface equipped with rich reporting dashboards, agent scorecards, rule-based evaluation form items and more. The quality optimization tools drive customer satisfaction, improve workforce efficiency, first call resolution and provide invaluable customer intelligence for the call center and the organization as whole. Globitel is known for having a fast track for developing new languages enablement upon request. Currently, SpeechLog Analytics supports Arabic & English. Dynamic and easy to use evaluation form builder. Covers all types of scoring mechanism including fatal errors that could zero out the whole score. Capability to build headers and sub-headers to organize your form. Easy management of multiple evaluation forms. Automatic assignment of Evaluations forms based on calls details. Provide evaluator hints per evaluation item. Evaluator can write an overall comment and a comment per item. Capability to enable Agents self-evaluation per form. Capability of building multiple evaluation forms for different call types. SpeechLog has a very powerful reporting engine to provide users with all needed details and information for all levels. Constant evaluation of agents will enhance, achieve and improve quality of service for callers. It will also enable managers to smartly identify agent training needs and track the agent’s performance improvement over time. Log new agents with the easy-to-use interface. Train them on previously recorded calls archived in SpeechLog. Record their workflow with the high quality SpeechLog Call Recorder. Extract their outcome and reports using the dynamic search and reporting engines. Review, analyze and expound the extracted data for evaluation. Use data to coach them, and train future agents.